The people who live and work in any given community sometimes do not have the opportunity or forum to give voice to their ideas on how to make the built environment work better for them. 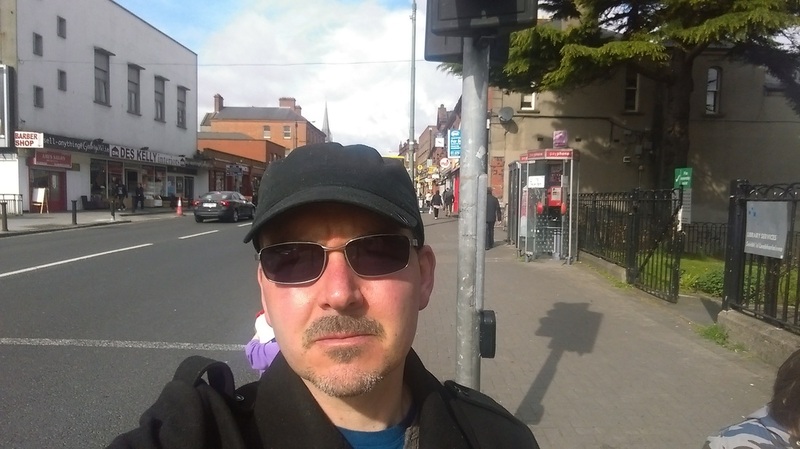 Put Yourself in the Picture asked people who live, work and pass through Phibsborough to make public their ideas for improving public infrastructure and quality of life for everyone. 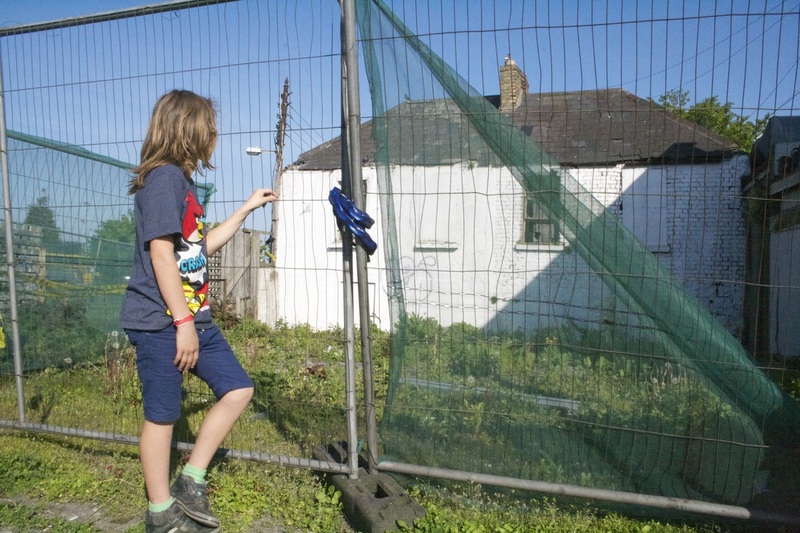 Devised by Artist Dorothy Smith and run in association with Phizzfest Put Yourself in the Picture invited residents, workers and passers-through to identify changes they would like to see in this area. 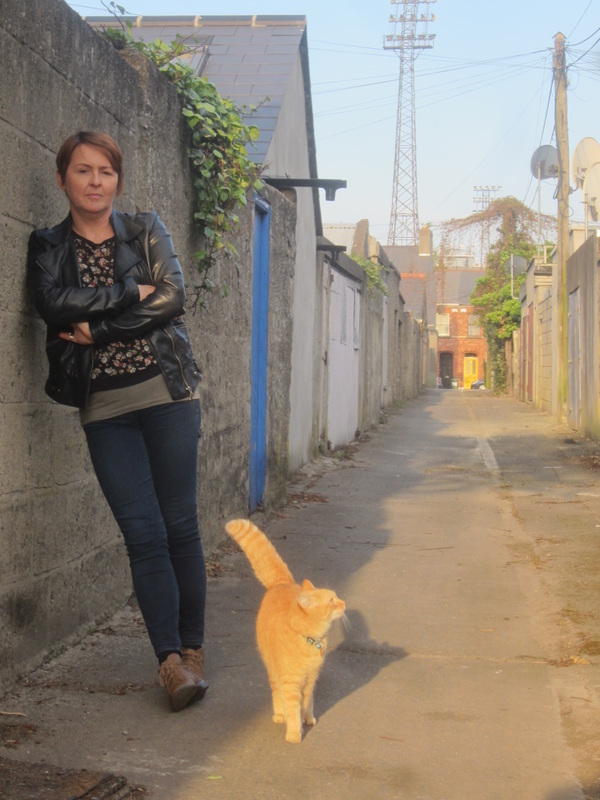 People were invited to take a photo of themselves in that place in Phibsborough that they wanted to see changed, to identify why they want it changed and tell us what change they would like to see. 43 ideas were submitted. The photographs and ideas were displayed in a public place during Phizzfest 2014. 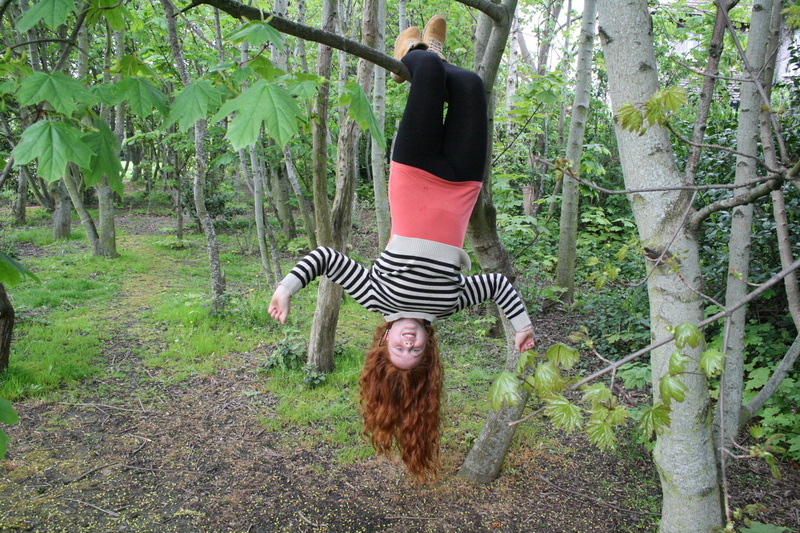 All the ideas and photos are now on this website. The ideas, which fell into two broad categories, are summarised below – Amenity and Circulation. 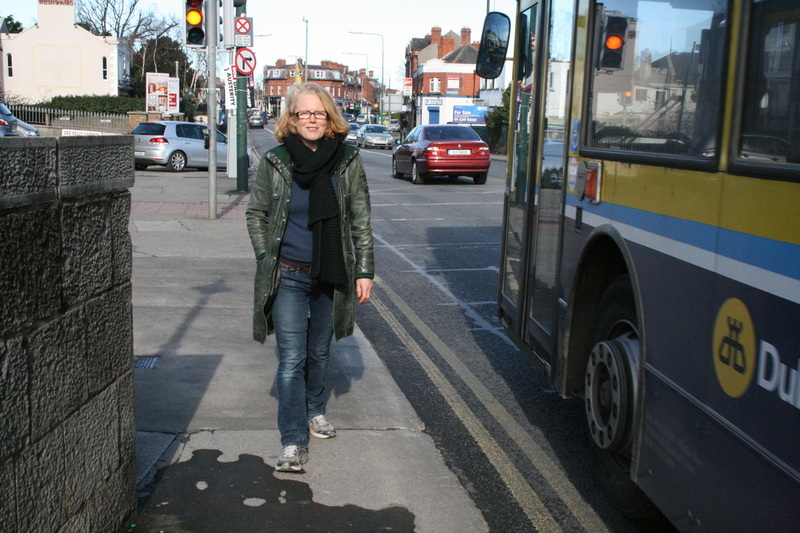 Pedestrian Infrastructure – long wait times to cross roads, lights in favour of cars not pedestrians, people not feeling safe on footpaths, general pedestrian circulation in the village constantly impeded by motorised traffic. Please read the ideas below. We would be very interested to get your feed back on individual ideas or on the whole project. Please 'share' with other interested parities and your local representatives. I would like this changed to a system where all the traffic in both directions stops at once, giving priority to pedestrians and enabling people to cross diagonally. Bikes are not allocated enough parking space. 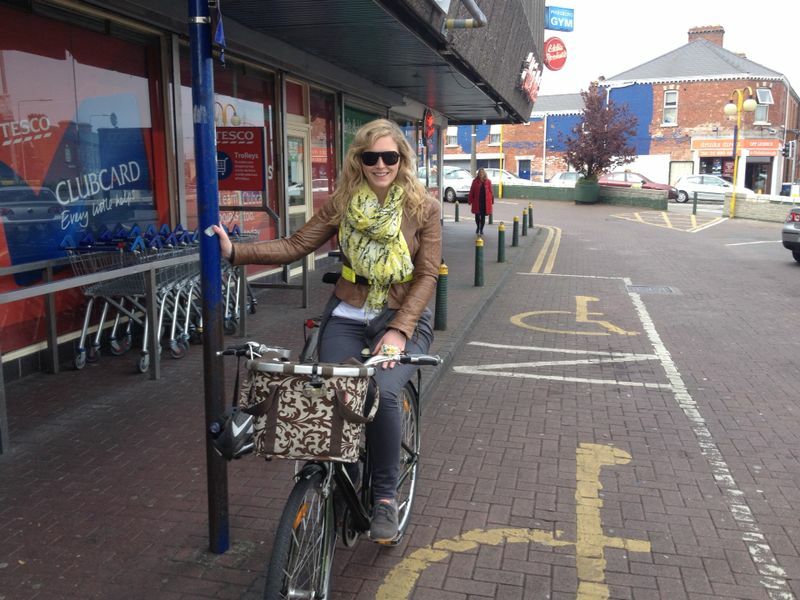 I would like to see Phibsboro Shopping Centre and the village become a safer place for cyclists in general. We need clearly defined cycle paths, not as part of car and bus lanes, and lots of cycle parking bays. 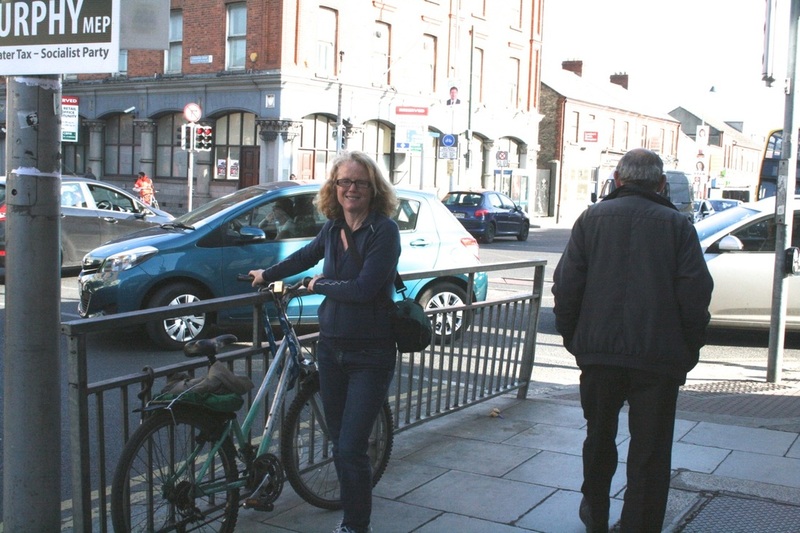 I would like to see a Dublin Bikes station at either Des Kelly Carpets at Cross Guns Bridge, or Dalymount Park (St. Peter's Road) or at both of these locations. 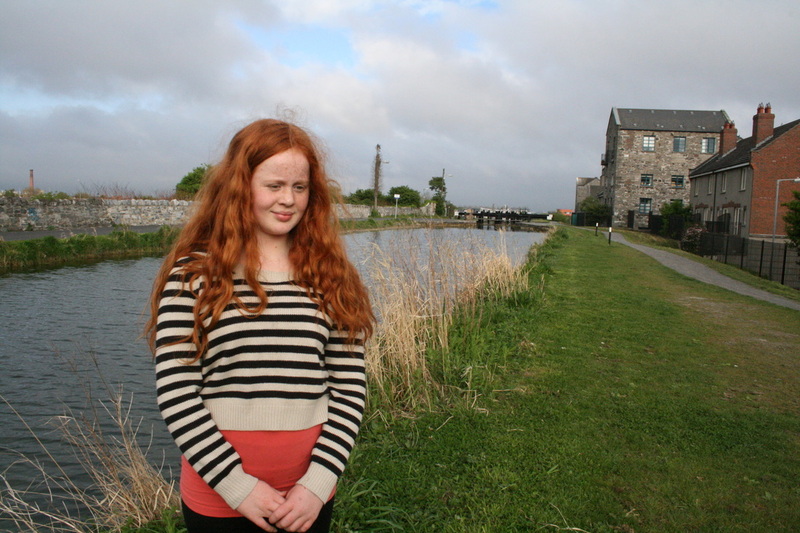 There are several stations along the Grand Canal, why not the Royal Canal? I walk to school with my children regularly. 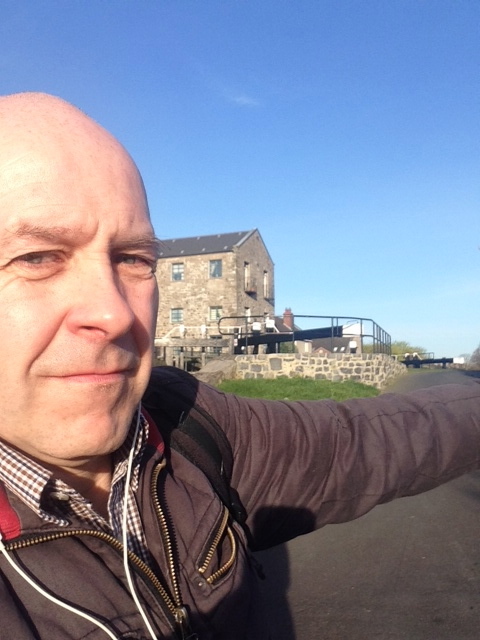 Part of the walk involves walking over Cross Guns Bridge on the Shandon Mills side. This part of the journey is perilous due to the dangerously narrow footpath and 2 inch kerb . On this stretch of road, cars, buses and motorbikes pass at speed and are dangerously close to pedestrians. My children and I usually walk in a single file in fear of an accident. 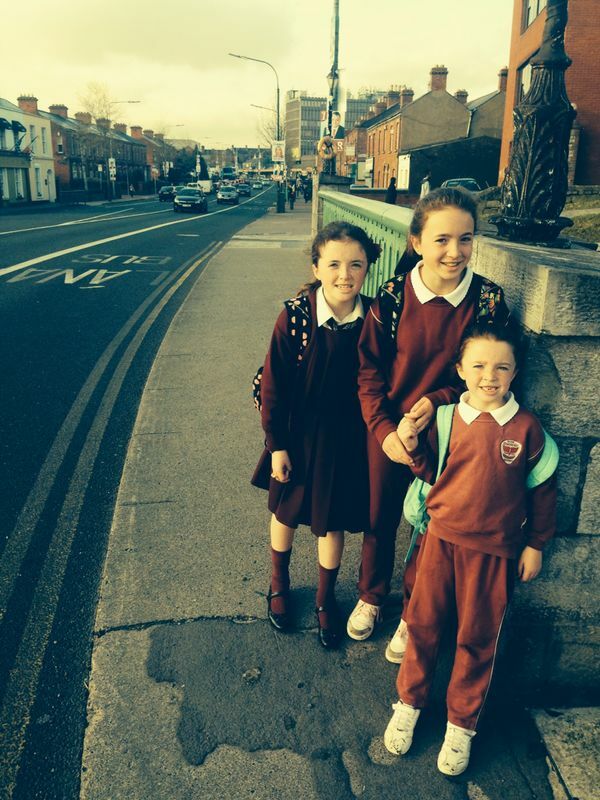 My children hold each others hands tightly as they instinctively feel very unsafe on this stretch of road. 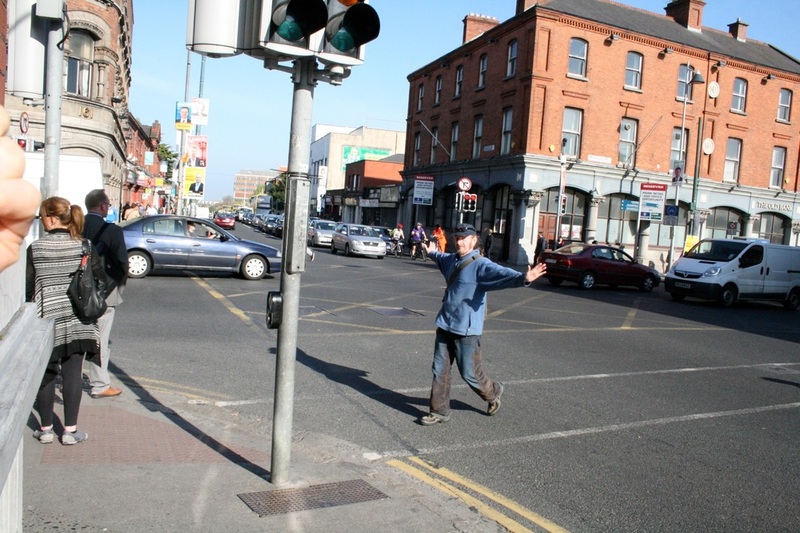 Our only alternative is to walk in the opposite direction into Phibsboro, cross at the only other set of traffic lights and walk on the other side of the road. I am baffled as to why the footpath on one side of Cross Guns Bridge was widened a few years ago and the other was left dangerously narrow. I would like to see the footpath size increased which will undoubtedly make the stretch of road safer for pedestrians. I feel vulnerable on this stretch of path and always breath a sigh of relief once that part of our journey is over. 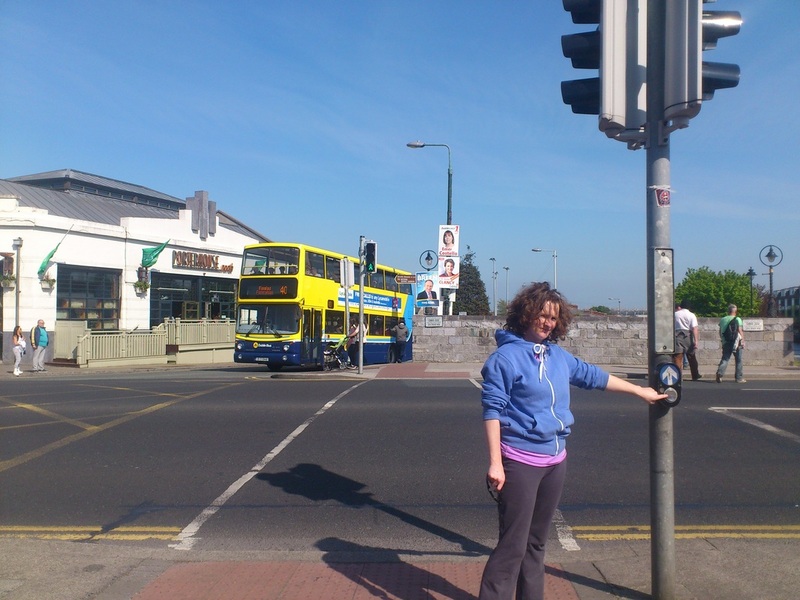 On pushing the button road user has to wait an inordinate amount of time for crossing to engage. Pedestrian / Cycle light timings should be reviewed and brought into line along with best practice, improved road markings would also be appropriate here. 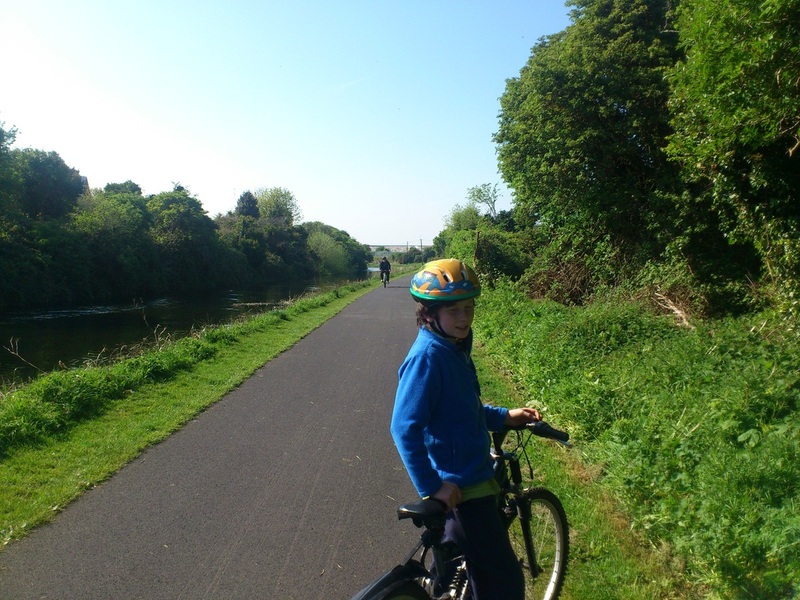 What I want is a cycle path along the Royal Canal tow path from Phibsborough to the Shannon. 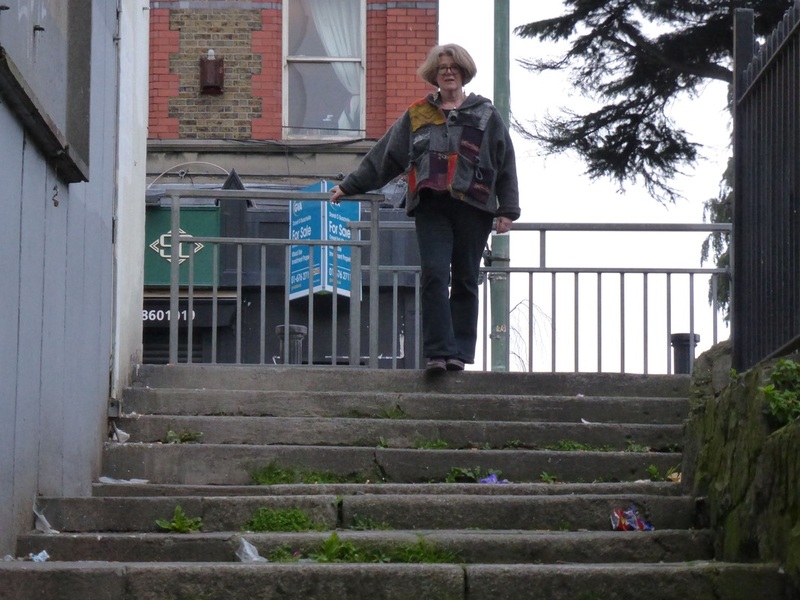 The only way to access the lovely walk into the city centre via the Royal Canal Way is by descending a set of stone steps from the North Circular Rd, which is okay if you are an able bodied pedestrian but not if you have mobility problems or have a bike or buggy. Replace the steps with a ramp and place a rubbish bin nearby to help keep the area clean. Ugly rusting former electrical signage in the car park that has not been in use for decades. I would like a freshly painted wall and area beneath free of litter. I would like to be able to cycle along the canal to the Shannon passing nice pubs, cafés, hostels and restaurants. 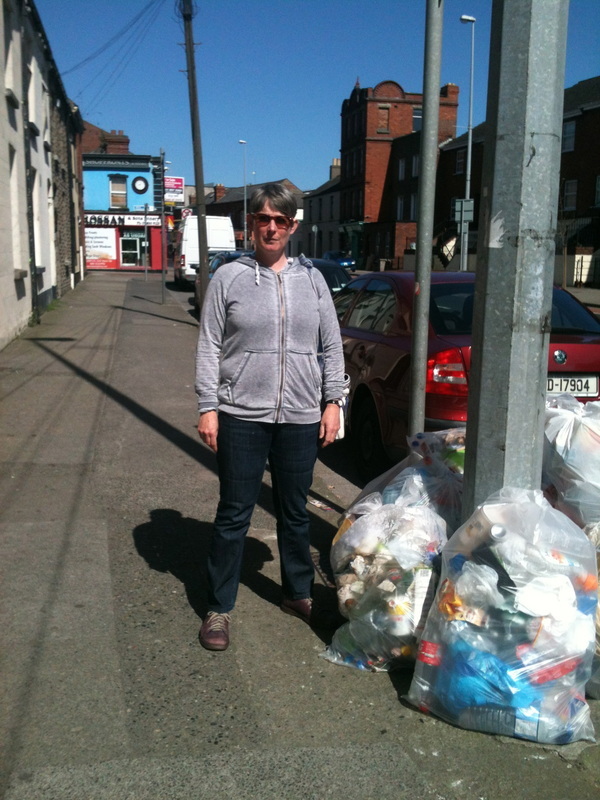 Household waste, tvs, mattresses and couches are dumped in this lane as well as dog poo. I would like to see this lane, and others like it, converted into into cycle lanes and pedestrian-friendly walkways. These alternative commuter routes would be re-paved and painted, prominently signposted and mapped out similar to the walking routes in the countryside. When immersed in this natural environment you would never know you were in the heart of the city, very few people have experienced the peaceful experience this site has to offer. I would love to see this this unique environment opened up and dedicated to the study of new ways living in partnership with nature to enhance health and well-being in the city. A huge volume of traffic uses this bridge daily, the narrow footpath here is dangerous for pedestrians. I would like to see a separate pedestrian foot bridge built across the canal. This area is behind the old mill on the canal. The railings are bent, rusted and the area behind full of rubbish. I would like to see the railings repaired, the graffiti in the adjacent area removed and additional lighting. 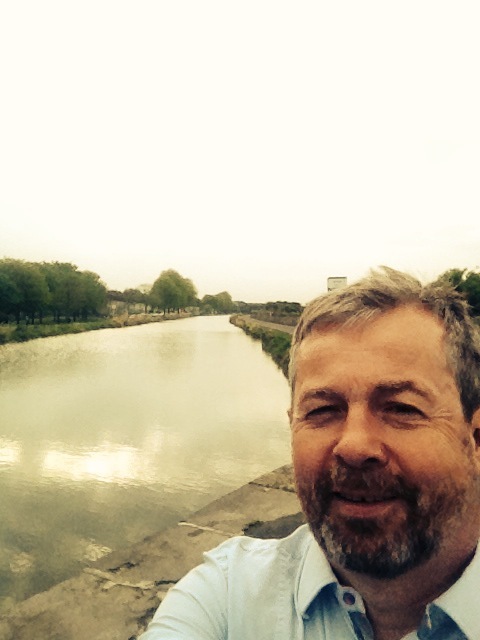 For me, living by the canal is a real privilege. It's a joy to have it on my doorstep, with the exception of this particular stretch which is regularly littered with drug paraphernalia, and other rubbish. 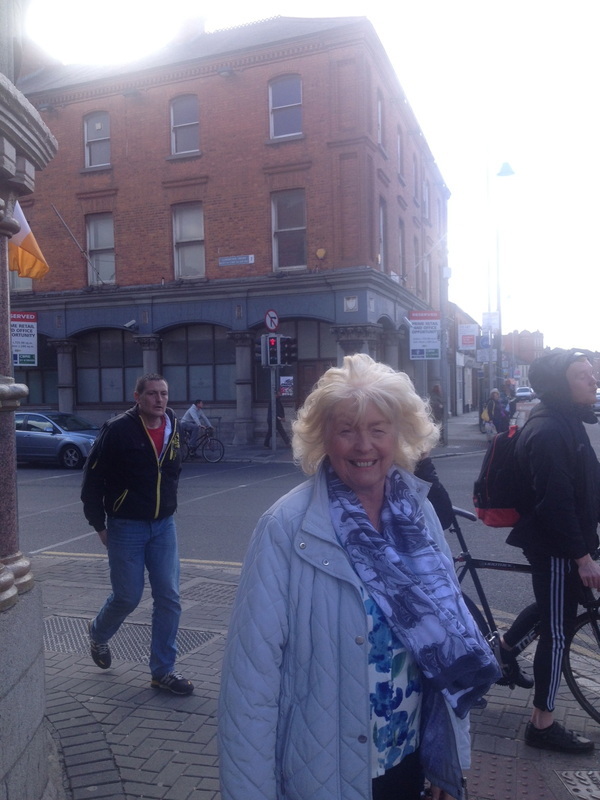 This year is the 50th year of planning permission being granted to the 'Phibsboro Centre'. I want to know how the planing process worked. 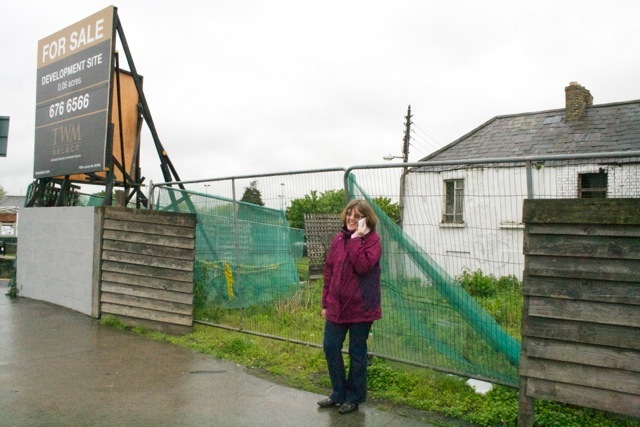 How this thing was granted planning permission despite its inherent, er, characteristics and despite the opposition of the local public representatives and rate-paying businesses. I would like this shop to be a boutique with a cafe!! I would like to see the old bank restored and turned into a nice restaurant.ere to edit. 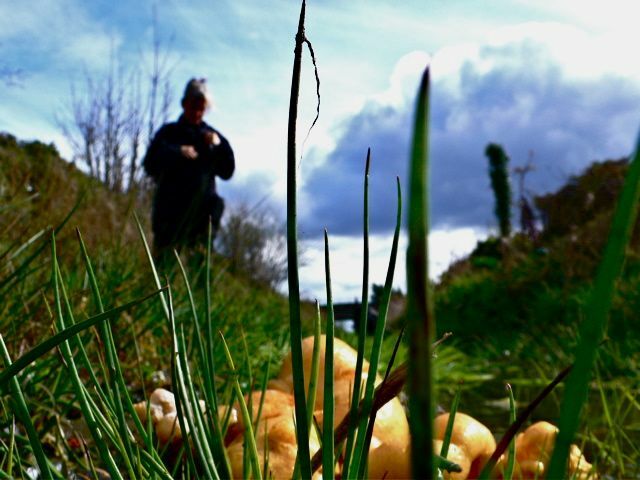 This site has been reclaimed by nature over a period of 50 years into a magnificent secret garden teaming with biodiversity, and, less fortunately, a magnet for illegal dumping. If sensitively redeveloped I believe this site could retain it's wild nature. By interconnecting the residual space adjacent to the cutting to create a public pathway connecting the Botanic Gardens with the Liffey at Smithfield you would attract activity and diminish anti-social behaviour. 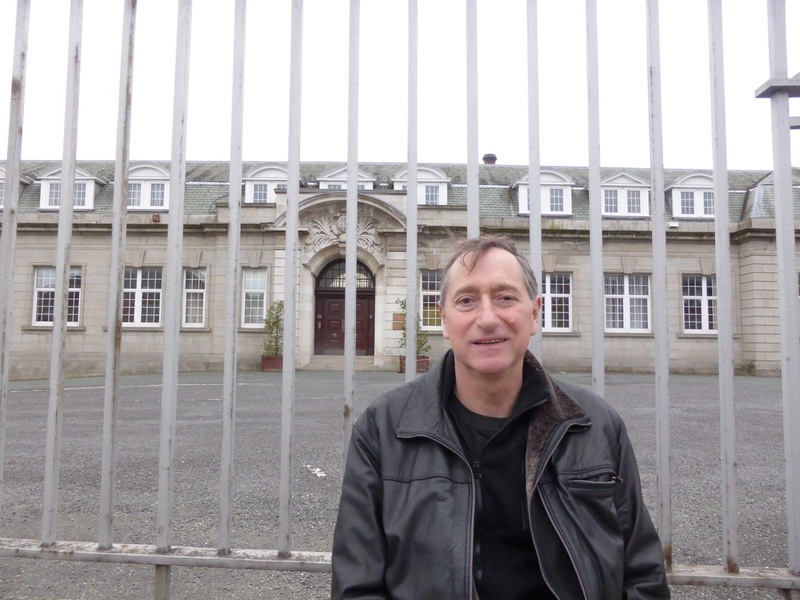 I would like to see this premises developed as a community and arts centre. 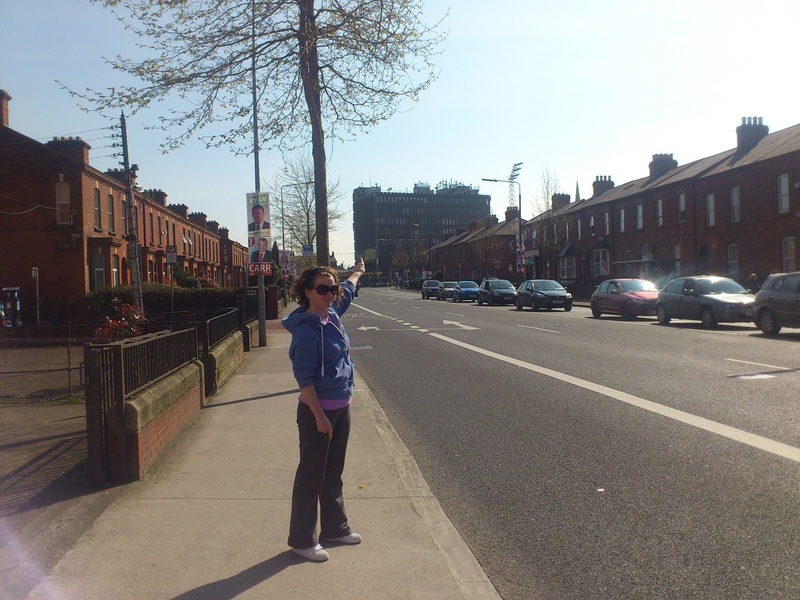 Phibsboro has a considerable rates base yet is very poorly provided for in terms of public space. It looks ugly. I would like a park or a sweet shop here. 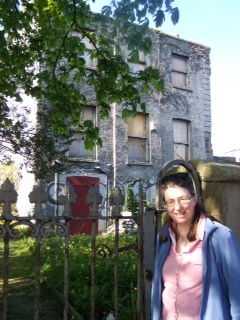 I would like this ramshackle house to be restored for use as a Community and Arts Centre for the Phibsborough Area. I would really like a maze but I might just be going through a faze. I think picnic table would be nice along the green part of the canal. 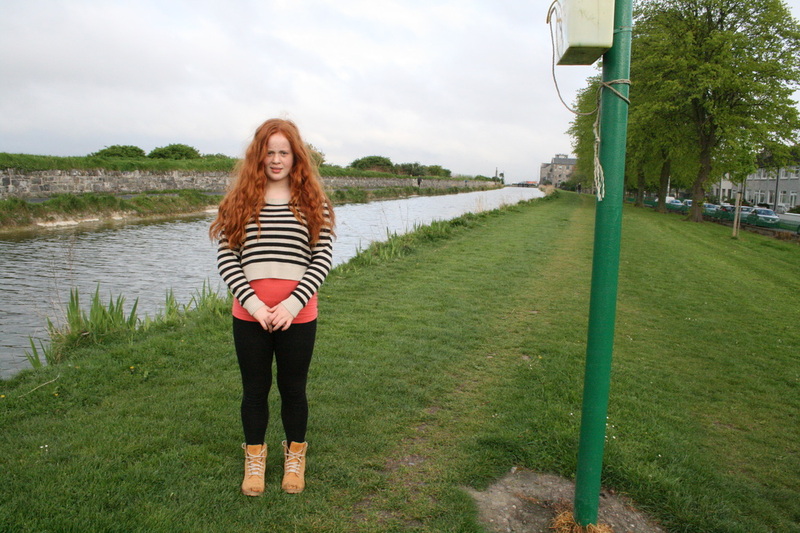 I would like to be able to go swimming in the Royal Canal. It would be good to see this field used to its maximum potential. 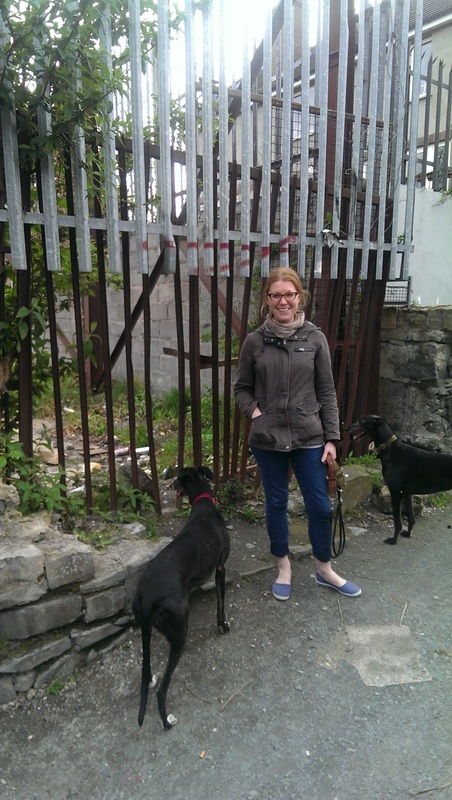 It would be good to see it become a field that functions as a primary care community garden facility for Phibsboro and its neighbouring communities. Providing training, support, and a vision and practice of growing food in sustainable naturally dynamic and abundant ways. My name is Hannah. I am 11 years old. 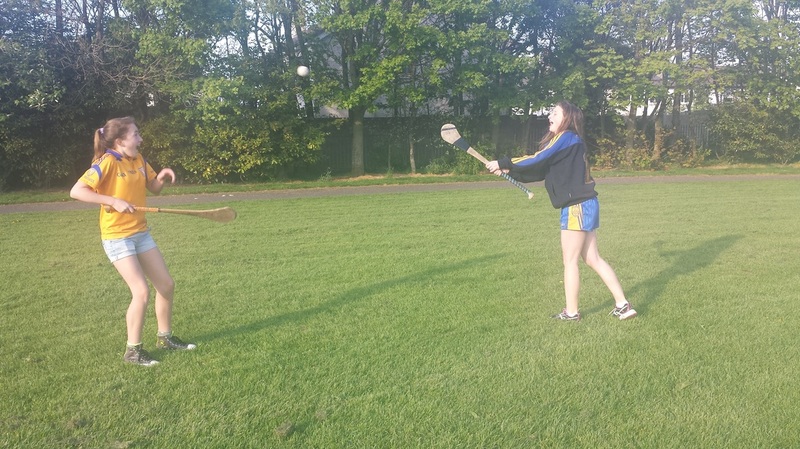 I play camogie and football at Na Fianna GAA club. I like to practice with friends at my local park Mount Bernard. Sometimes my friends are busy and I would still like to practice but I can't on my own. It would be great if we had a wall that I could hit the sliotar/kick the ball against. I love practicing but I can only do it in pairs. 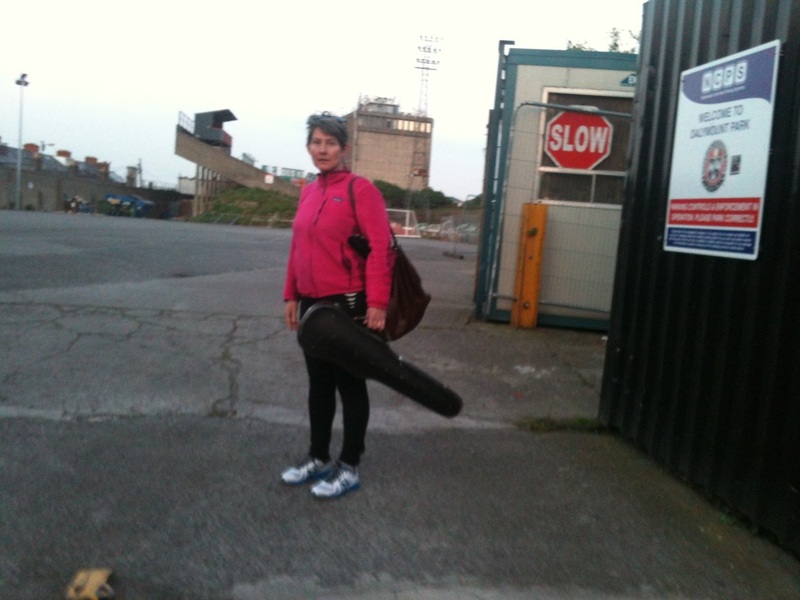 Na Fianna has a hurling wall/alley and I think it would be great if Phibsborough had one too. 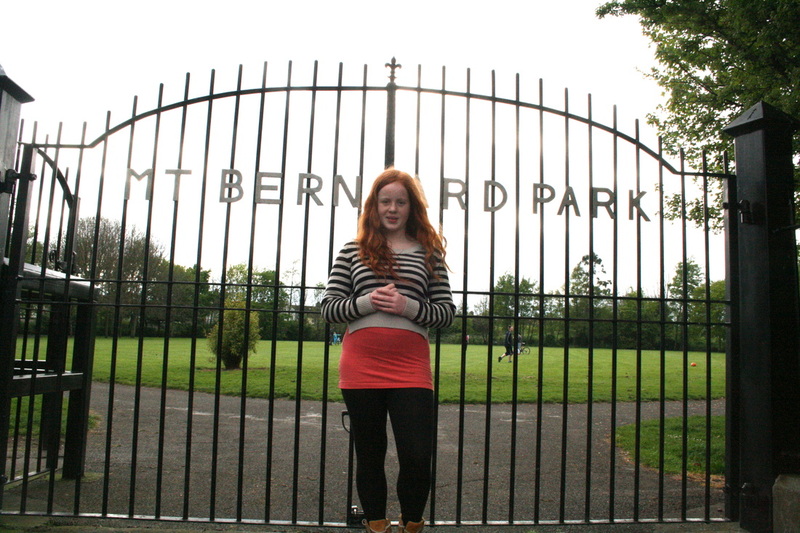 So many young people in Phibsborough are members of a GAA club and this type of facility would be great for us. Pedestrians have to wait 1min 32 seconds for a green light to cross. Cars only have to wait 28 seconds. This tells me that the city considers moving cars efficiently as more important than people. I timed this on 29th April at 4pm. Invert the priority. Make cars wait and slow down for pedestrians. People make quality and safe spaces. 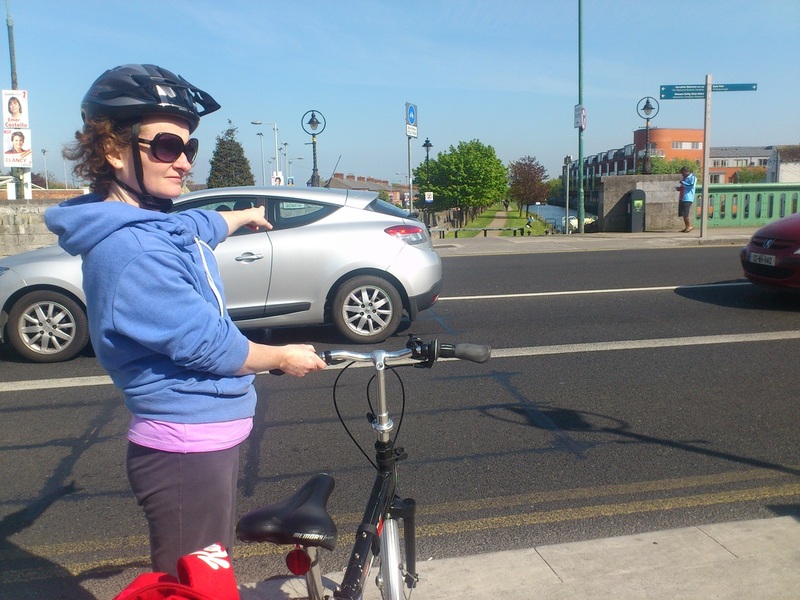 After coming down the beautiful cycleway from Ashtown, I reach a wall of traffic and noise. A cycle zebra crossing here would highlight to drivers and passers-by the beautiful amenity that is the canal walkway and cycleway. 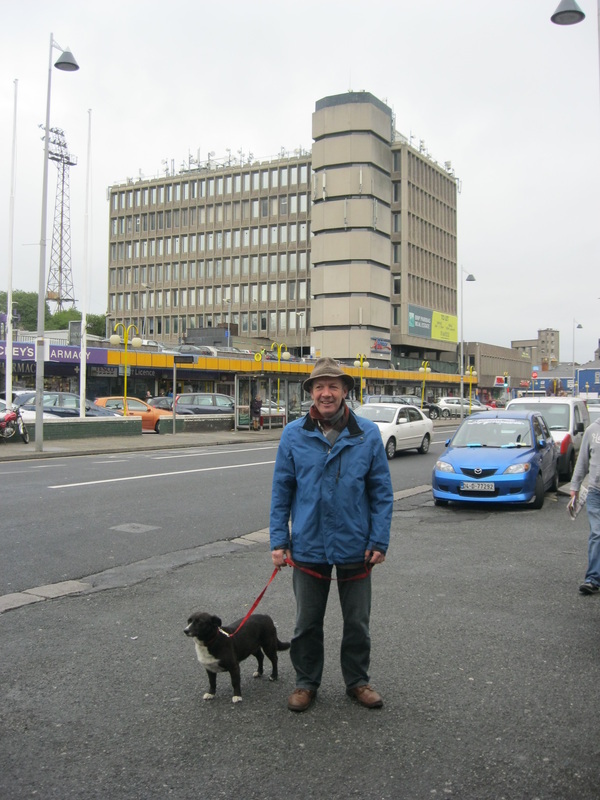 When I reach Phibsborough centre, this ugly building dominates the vista. The plethora of masts on the roof is particularly horrible in the skyline. Demolish the building. Failing that, remove or screen off the roof masts. Turn the building into a green facade or use the modularity elements of it to showcase an art installation. Have more local shops like this one. They create a village identity. 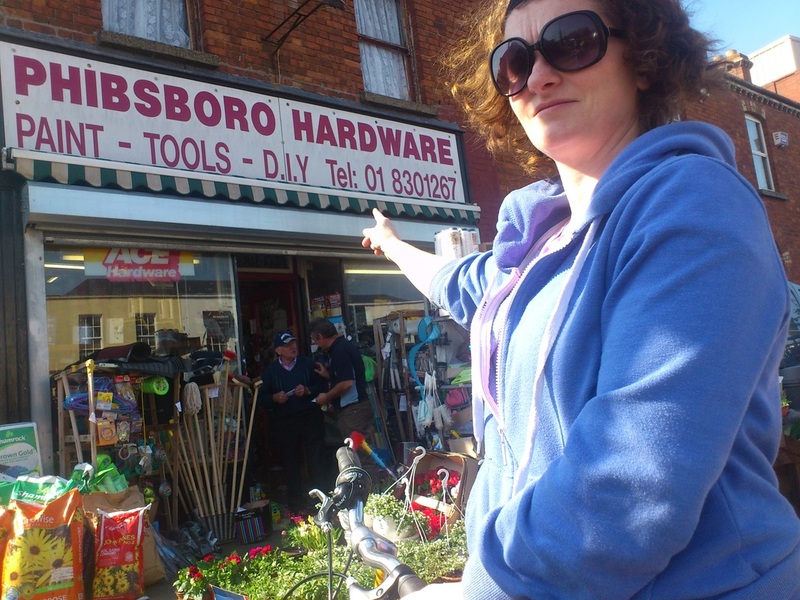 Hardware shops are a dying breed, and with them goes the local handyman. 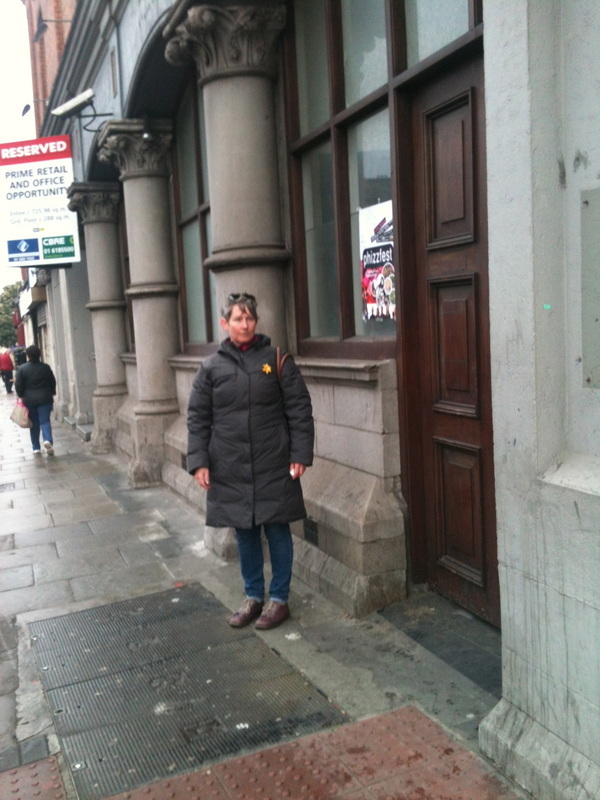 Ensure policies to encourage small and diverse shops/ businesses that add local value. Preserve and support local hardware shops. 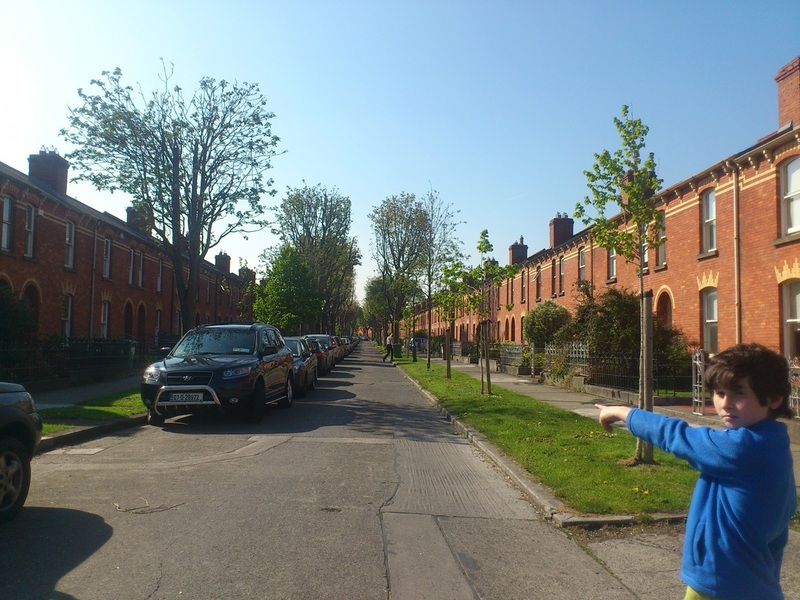 I love to visit my friends on this street and I love this street but I hate the cars and my mam can never get parked or pull in. They take up play space. Create a set-down area. Make it a one-way. Get a Go-car car-share station as a neighbourhood car-club to reduce cars owned. Most cars are parked without moving for 23 out of 24 hours a day. 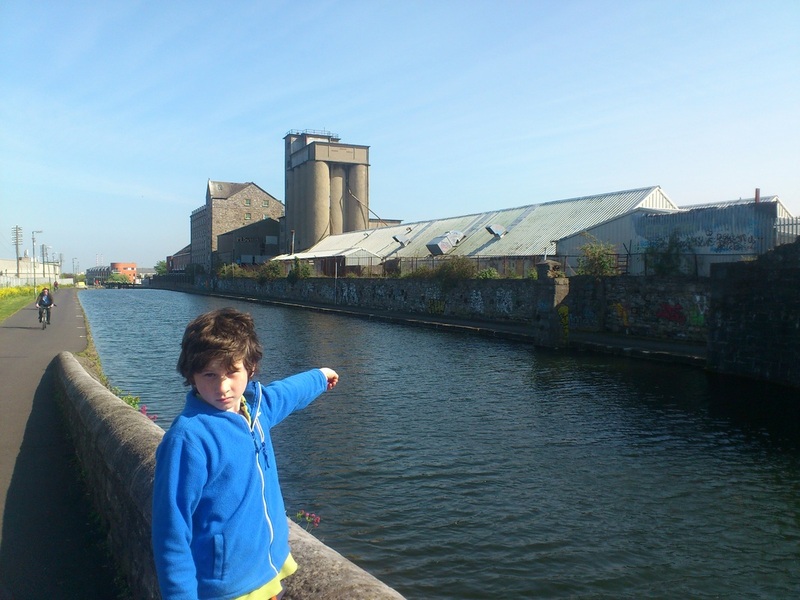 Linking the Royal Canal and the Tolka Greenway. 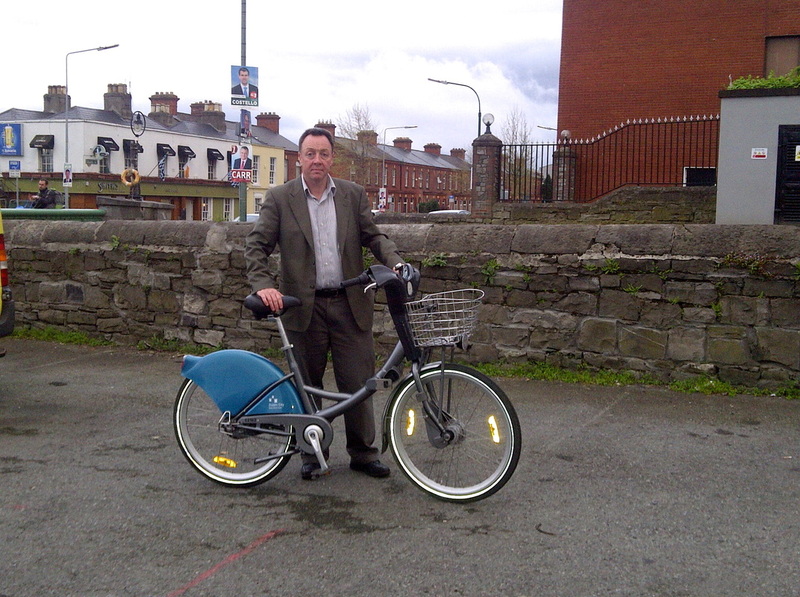 I live in Ballygall and I love to cycle on the Tolka Greenway through Ashtown and along the Royal Canal to Phibsborough. But it is not safe to do the full circle and I have to go all the way back. 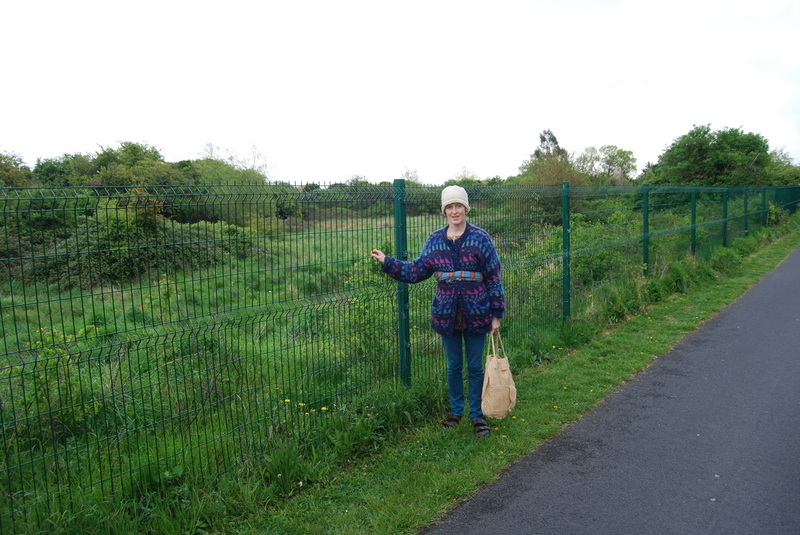 Create an off-road cycle path from CrossGuns Bridge along N2 to the Tolka Greenway entrance past Glasnevin Cemetery. Then you have a loop. This could also bring you into the Cemetery and across to Botanic Gardens. 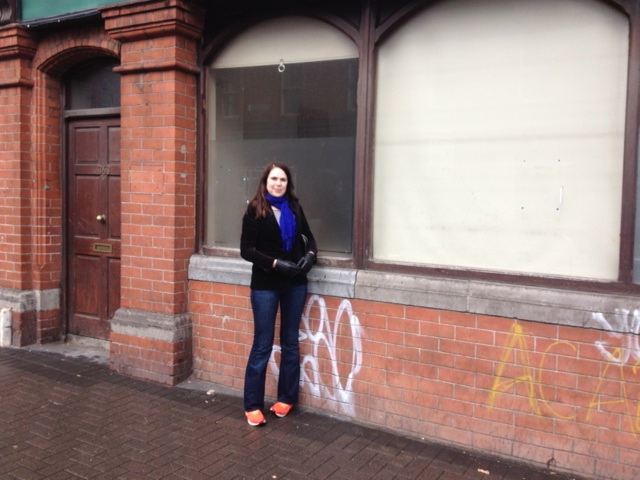 I would like to see this corner site developed as a 'pocket' garden space for the community. A mini oasis for people to drop in; take a breather en route in their journey. Could coexist with a Dublin bikes stand.